All noted prices are excluding 21% VAT. 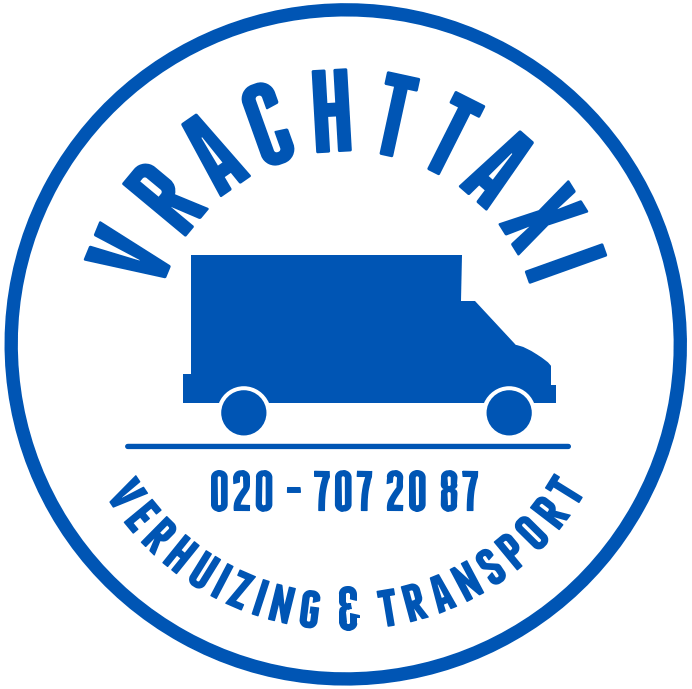 At the end of the job, the payment should be paid in cash to the driver, unless the customer represents a company and we recieved a registration number of the Chamber of Commerce before the date of moving. You can make an estimation of the size van you need. We can advice you about this by telephone. We recommend to calculate this using our M3 calculator which you can find on our website. Ordering a bigger van will be cheaper then unfortunately driving 2 times in the end. Your belongings should be supplied packed and transport worthy. By request we can also come on the same day or the day before to pack for you. 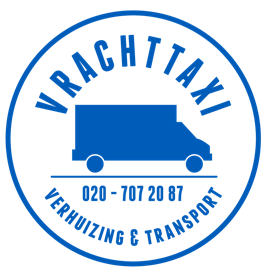 The day before, we ask €25,- call out costs within Amsterdam and naturally the man-hours of our movers. It could also be done on the same day. We do want to know this beforehand, so we can take this into account concerning our planning. By request we are able to disassemble or assemble furniture. Also windows, handrails, balustrades, or other objects that are in the way can be disassembled, removed and put back into place to make the move go smoothly, in case the required tools are provided by you. The parking costs for the van(s) used for your move, are for the customer. Sometimes we park at the sidewalk with flashing indicators, but if we are fined, it’s for the client. We encourage you to provide parking spaces as close to your house as possible in the neighborhood. You can also request a parking permit at the City Hall het digitale loket of Amsterdam. They will then place signs so other vehicles will not be able to park there. The request will take about a week and there are charges involved. The lift needs to stand at a specific area to be able to operate. It stands 6 meters out of the wall and will take up 2,5 meters width. The lift can also be partly placed on a cycle path, parking space or public road, but you are responsible for keeping the space free. The lift should also be perpendicular to the corresponding window. Officially you need a permit for this from the City Hall het digitale loketAmsterdam. This takes about 5 working days and there are costs involved. If you have not requested a permit, we’ll come, but it’s done at your own risk. If we would seriously interrupt traffic in the preparation of placing the lift, it is highly recommended to request a permit. For further questions concerning this, please don’t hesitate to call us. When we are not able to put up our lift, we charge €50,- call out charge. Basically we do not move by stairs, unless there is no other option. In case of hoisting, make sure that the hoisting beam is accessible on the day of the move so we can hang our ropes and moving blocks. The rope and block is free of charge if we can hoist for you. Using the hoist rope and moving block is entirely on your own risk. You can only cancel the date of moving free of charge by email, at least 24 hours before the moving date.